Who says that just because you’re grain free, or even dairy free, that you have to give up pizza? The sweet-rich tomato sauce topped with all the traditional pizza toppings is the best part anyway! 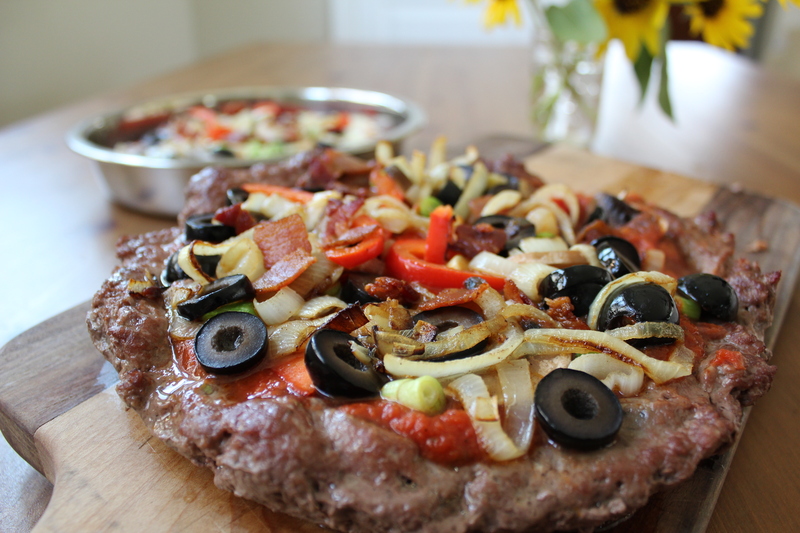 Indulge as often as you like, and carry on the homemade pizza night tradition with this Meatza. Pizza is now a health food! Mix ground beef, pepper, salt, seasoning and garlic in a bowl. On a cookie sheet or in a large glass dish, pat meat into a ‘pizza crust’. Top with tomato sauce and vegetables then top with cheese. Bake at 400 degrees Fahrenheit for 30 minutes, or until the meat is cooked through and cheese is melted. Allow to cool for 5 minutes then slice into wedges. 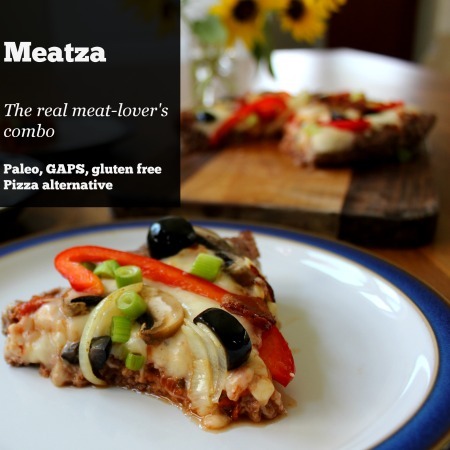 Dairy-free: Omit cheese – eating slices of meatza is still fun anyway! 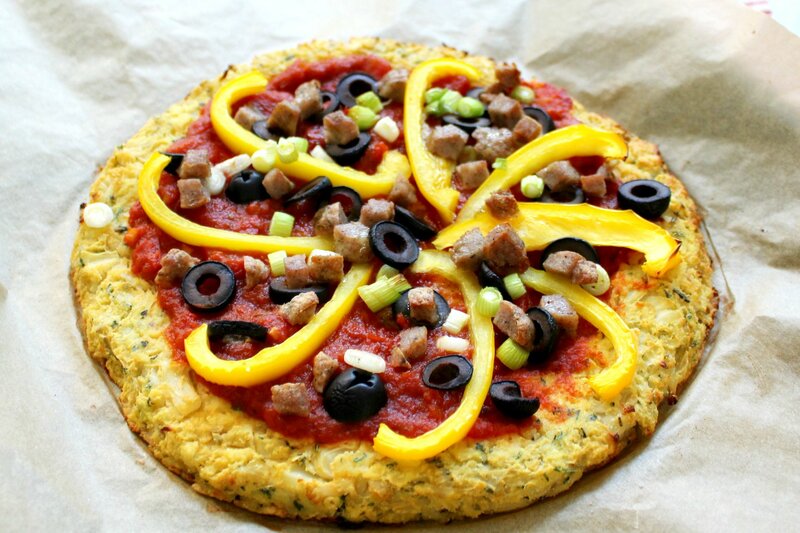 This recipe is from my Grain Free Meal Plan, where Friday night is still pizza night! Click here to see more delicious recipes and buy the downloadable/printable files! Limited time offer: Enter your information and I'll send you my free e-book "Plenty of Protein" right away! This ebook contains 20 protein-rich low-carb recipes that your family is sure to love! Please Send my Free Ebook! What a great meal for a Boy Scout camp out….cast iron dutch oven size pan would work great! Great idea! What a great way to give them a nutrient dense fun meal! 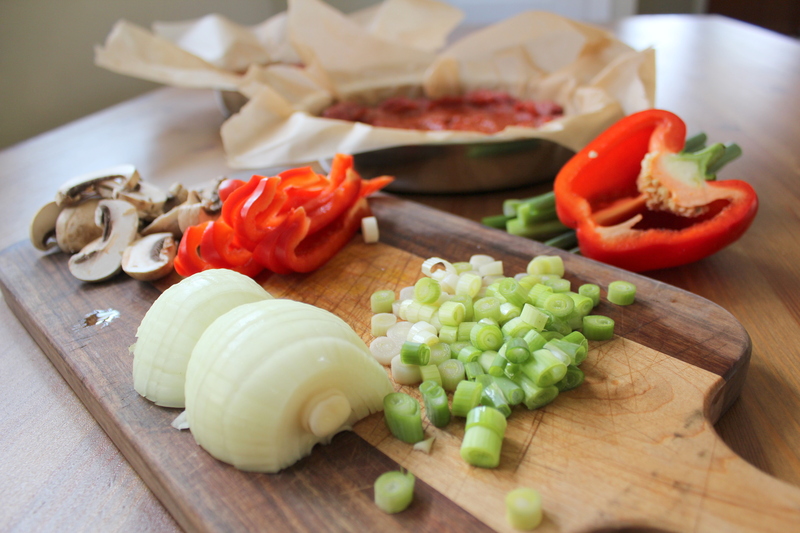 I have made this from your meal plan and it is so good! What a great idea! I would just make a suggestion that the flavors will meld a little better if you mix the seasonings into the meat the day before or at least a few hours before cooking. Cara, I appreciate all your delicious, easy, GAPS legal recipes. They are simple, but so good. Thanks for the tip Jennifer, I’m so glad to be helpful! brilliant! why didn’t I think of this?! Yay, I can have my pizza and eat it too! 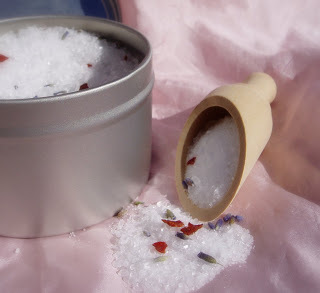 I just shared this recipe with my client.